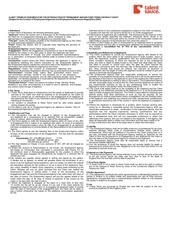 This PDF 1.6 document has been generated by Canon MX410 series / Adobe Acrobat 9.0 Paper Capture Plug-in, and has been sent on pdf-archive.com on 20/04/2018 at 00:03, from IP address 184.75.x.x. The current document download page has been viewed 112 times. File size: 4.7 MB (104 pages). way of Verified Complaint against Defendants, Stolzer, Rothschild, Levy, LLC and Howard N.
resides at 40 Winding Lane, Basking Ridge, New Jersey 07920.
business from BSSC's existing ru:1d prospective clients for SRL's immediate financial benefit. favor of working with SRL. breach of fiduciary duty owed to BSSC. 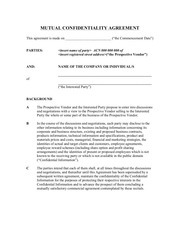 compete and confidentiality agreement he executed as a condition of his employment. harm to its reputation and goodwill. administration, pension services, and asset management. served as President and Chief Executive Officer. and remains property of BSSC. $400,000 of those earnings were attributed to the department within which Stolzer worked. employee and served as Chief Compliance Officer and Chief Investment Officer. compliance issues as well as managing and monitoring' BSSI's portfolio of assets. policies, marketing and sales, and operational methods. legitimate business interests and proprietary information, including private client information. breach or terminate its contract with BSSI (or with any affiliate ofBSSI). acquired during the course of his employment. irreparable harm and constitute a breach of fiduciary duty to BSSI and its successors. and BSSI as well as their respective successors and assigns, i.e. BSSC and SLR. Id. the business and client base. the investment and advisory marketplace. requisite national and state regulatory authorities while still employed at BSSC. January, 2014 attached hereto as Exhibit B.
residence of Stolzer in Basking Ridge, NJ. Id. 2014. See Investment Advisor Representative Report Summary attached hereto as Exhibit C.
June, 2014. 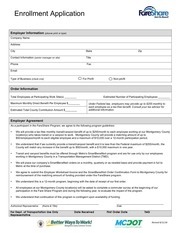 See Business Record Service attached hereto as Exhibit D.
the Agreement and leave the Plaintiff with a fait accompli. after July 1,2014, Stolzer's resignation date. 2014 attached hereto as Exhibit E.
July 24, 2014 attached hereto as Exhibit G.
investment communication update from Stolzer's SLR e-mail account. Rappoport to S. Rappoport dated July 14, 2014 attached hereto as Exhibit H.
up with him to inquire about the issue. Id. from Schwab Email Admin to Stolzer dated July 14,2014 attached hereto as Exhibit J.
duplicity has resulted in an unquantifiable loss of good will. confusion caused by Stolzer's abrupt departure and subsequent solicitations. This file has been shared by a user of PDF Archive. Document ID: 00758716.